Tripoli (AFP) - The Islamic State group on Sunday declared "war" on the powerful Fajr Libya militia alliance that controls Tripoli and claimed a suicide bombing that killed five of its fighters. 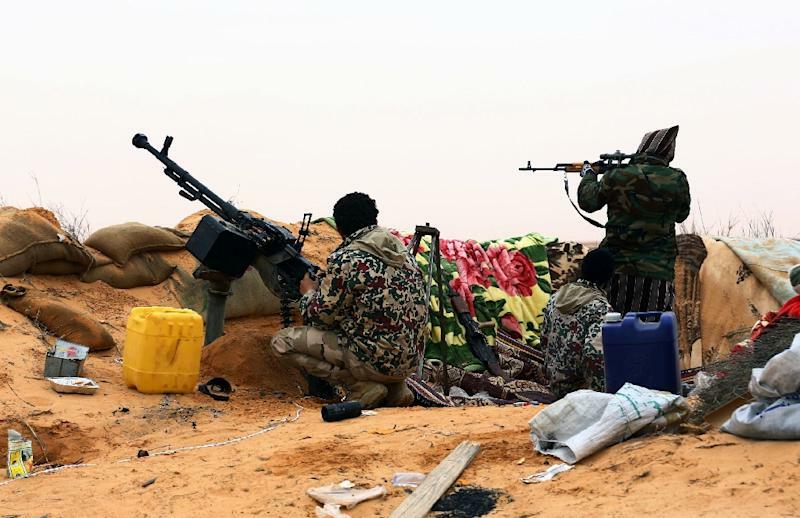 The dawn blast in northwest Libya is the latest in a series of attacks by IS in the politically divided North African country, where the jihadists have exploited chaos to gain a growing foothold. "A car suicide bomber blew himself up near a checkpoint at an entrance of Dafniya," between the town of Zliten and Libya's third city Misrata, said a spokesman for Fajr Libya (Libya Dawn). The attack killed five fighters and wounded seven others, he added. The LANA news agency of the militia-backed Tripoli administration gave a similar account of the attack, and also reported that five were dead. IS claimed responsibility for the attack in a message posted on Twitter, identifying the suicide bomber as a Tunisian named Abu Wahib al-Tunsi. The jihadist group also warned Fajr Libya to be ready for "war". "The apostates of Fajr Libya... must know that a war is coming to cleanse the land of their filth unless they repent and go back to their true religion," said the extremist group. Libya plunged into chaos after the 2011 NATO-backed uprising that toppled and killed long-time dictator Moamer Kadhafi, with battle-hardened former rebels armed with heavy weapons carving out their own fiefdoms. Fajr Libya, an alliance of armed groups including Islamists opposed to the extremist religious views of IS, seized power in Tripoli last year. It installed a new government and parliament in the capital, prompting the administration recognised by the international community to flee to the east of the country. Sunday's attack comes a day after Libya's recognised government called on the international community to provide it with weapons to battle IS. 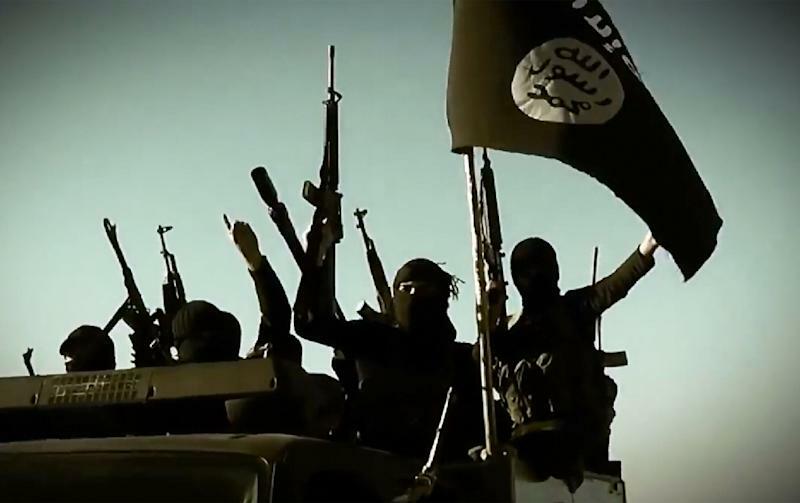 A statement warned that IS plans on seizing "oilfields to fund its operations", as it has done in Syria and Iraq where the jihadists last year set up a "caliphate" straddling both countries. The government's plea comes after IS on Thursday seized control of the airport in Sirte, Kadhafi's hometown east of Tripoli, after Fajr Libya fighters withdrew from the facility. It was the first time that IS in Libya has recorded such a military gain. The Gardabiya airport, which is also a military base, lies just 150 kilometres (93 miles) from Libya's so-called "oil crescent" -- home to key oilfields and export terminals. Officials in Tripoli said that IS had allied with supporters of the ousted Kadhafi regime to deploy across Sirte. Sirte has been rocked by sporadic fighting between IS and Fajr Libya since February, when jihadists deployed in the city, capturing government buildings and the university. The city, located 450 kilometres (280 miles) east of Tripoli, was already a bastion of Islamist extremist groups, including Ansar al-Sharia. The radical group is classified by the United States as a "terrorist" organisation and suspected of involvement in the 2012 attack on the US consulate in the second city of Benghazi. Tripoli officials say that IS, which also has positions in the eastern city of Derna, has "sleeping cells" in the capital, where the group has already claimed several attacks. In a bid to find a solution to the crisis, the United Nations has for months struggled to broker a deal between warring parties through the creation of a national unity government. On Saturday night a UN-sponsored meeting in neighbouring Tunisia of Libyan mayors and municipal representatives ended with a declaration calling for the "swift formation of a government of national accord". Special envoy Bernardino Leon said on Thursday that the UN was preparing a new draft peace agreement which it plans to hand over to the rival factions in the first week of June.